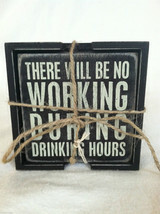 A funny and functional addition to the man cave or the home bar. 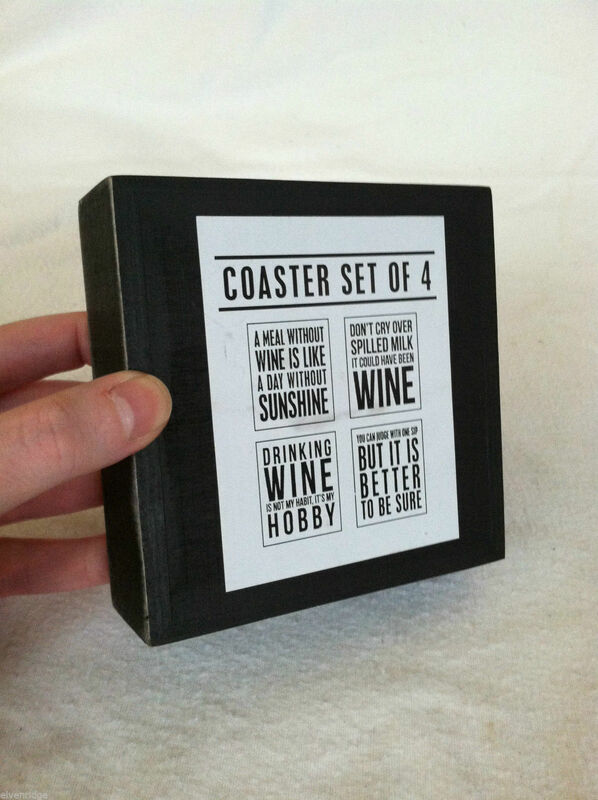 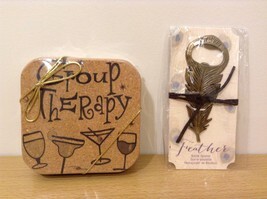 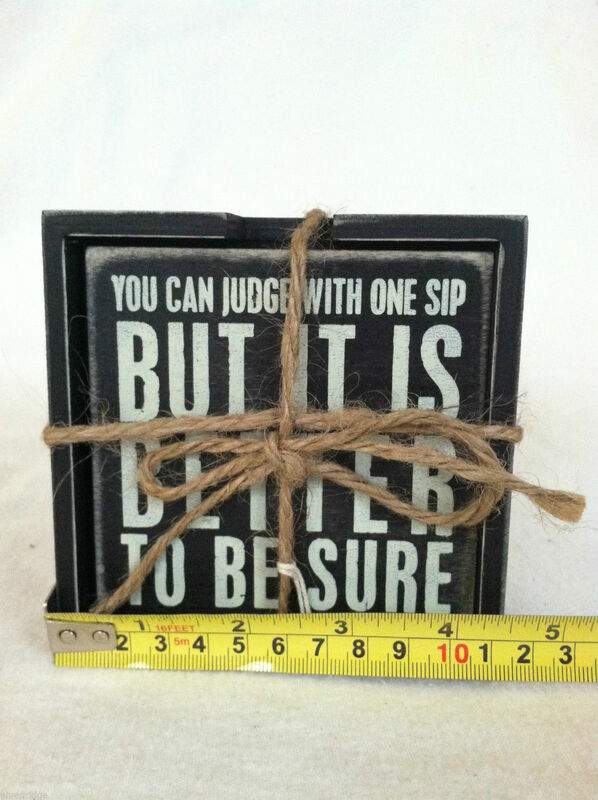 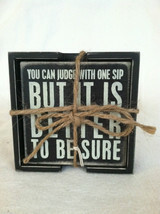 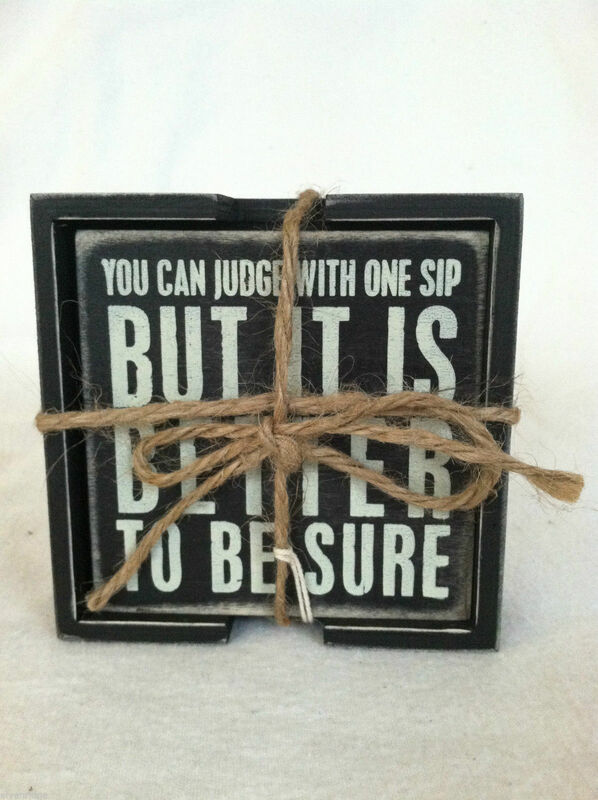 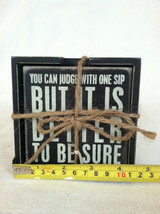 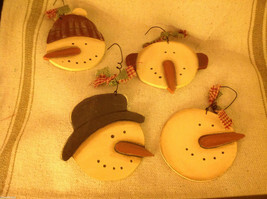 This set of coasters comes with 4 black wooden square coasters that each say something uniquely humorous. 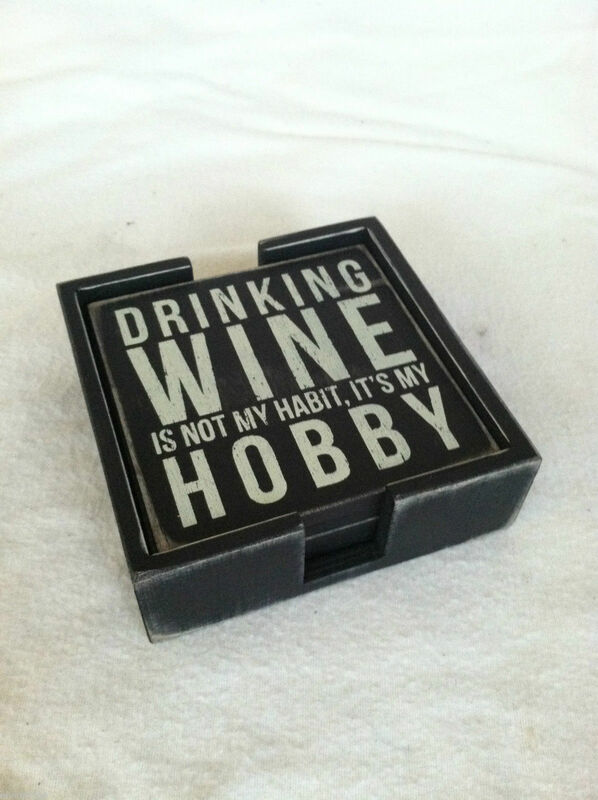 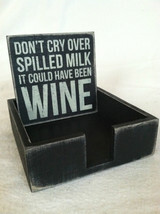 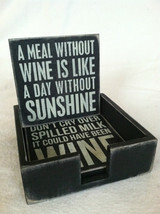 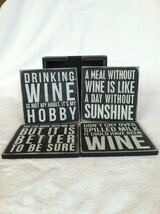 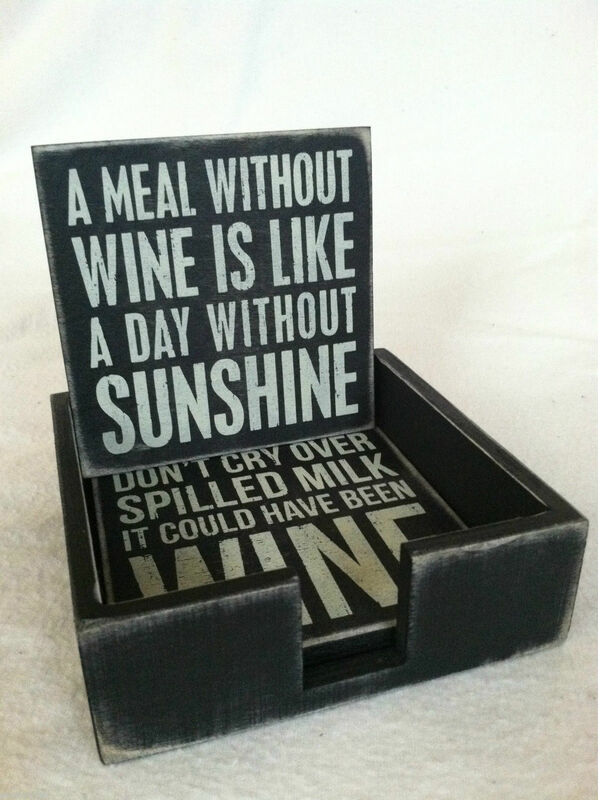 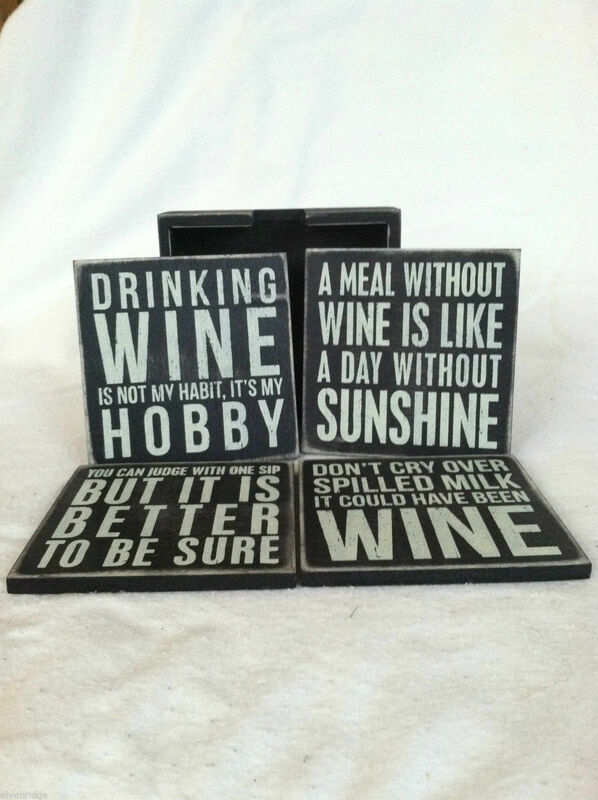 "A meal without wine is like a day without sunshine"
"Drinking wine is not my habit, it's my hobby"
"Don't cry over spilled milk it could have been wine"
"You can judge with one sip but it is better to be sure"
The coasters are 4" squares and come packed within their wooden box that measures 1 1/2"(H) x 4 1/2" square.